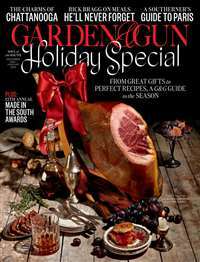 As a subscriber to this magazine for the past two years, I can say without reservation that it is simply terrific. I look forward to each and every issue. Glossy and colorful, it is replete with many well written articles and essays on exotic, little known, or far away places, as well as on off beat or high adrenaline sports. There are also many eye catching, superlative photographs that illustrate and illuminate. If one is interested in mountaineering, rock climbing, hiking, skiing, snowboarding, sailing, or travel to little known places where one may indulge in these activities, then this magazine will be of interest. It is packed with information that will appeal to those who have an active, adventurous lifestyle, as well as to armchair adventurers, of which I am one. I usually don't subscribe to magazines. Specially in these days, when the Internet can give you a lot of information just searching in Google. However, this magazine is terrific and I will renew my subscription for many years to come. It has very entertaining articles for the adventurer. Its scope is really wide (Cycling, Sailing, Mointanieering, Water and Snow skiing, Rock Climbing, Trecking, Off-Road Motorcycles, Surfing, Fitness...) so it is very probable that if you practice an outdoor sport or just like a particular type of adventure, you will get a nice article to read that matches your interest. It is for everybody!. One of the things I really enjoy about this magazine, is all the gearing and high tech equipment they show (and I can't buy). They review GPSs, give you tips on the best beach gear, or even compare different types of binoculars. It is great to have some info, what is wrong with technology for the outdoor life?. One Suggestion to the editors: More articles oriented to the outdoor adventure of the readers, not just the writer. The majority of the articles, tell you stories about wonderfull trips and journeys from the perspective of the adventurer/author. However, they don't give many guidelines, directions for newbies, or people interested on doing that. Frequent articles on extreme sports and travel, and occasionally includes stunning articles that no one else will cover (for instance, the article awhile back on the ongoing mountain war between India and Pakistan). 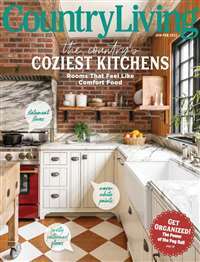 I've been a subscriber to Outside magazine for several years, and it seems to go through its ups and downs in terms of the strength of its editorial content, especially regarding the political side of environmentalism. It is still easily the most informative magazine out there for lovers of the outdoors, but just note that the focus is on active, not armchair, appreciation of nature. Beyond the occasionally great and always heavily knowledgeable product reviews, the key strength of this magazine is the well-written and strongly researched articles on outdoor issues of concern, not just in America but around the world. An outstanding recent example, among many, concerns the economics of environmentalism in the conservative Western U.S. This is the type of strong conservationist reporting that can usually only be found otherwise in books. Other more whimsical articles are just fun to read for those with off-kilter interests, such as recent pieces on urban rock climbing or sauna fanatics in Finland. 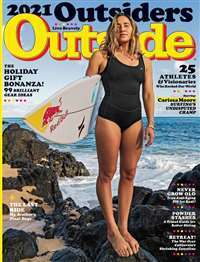 Outside magazine is a great publication to augment your "outside" activities and travels. It is especially helpful in bringing to the reader all the many possibilities that you may not be considering; it is an "educational" experience. Good variety of articles and great photos. I always rush to read it when it arrives. First hand accounts of real adventures. Climb Everest. Invade Baghdad. Fly over remote regions of Alaska. Hike, paddle, run for your life! This magazine tells you all about what the great outdoors has to offer. I ordered this for my adult son who is an avid outdoorsman. He particularly enjoys camping, climbing, whitewater rafting, and biking; this magazine has appealed to all his interests. In each issue, he finds valuable information along with entertaining and interesting articles. And with each new issue, he calls to thank me again for his subscription. I am mostly a low energy, armchair traveller but enjoy photography and reading about exciting new places and activities. This magazine has fit all these criterias. Outside focuses on exploring different locales that are extremely exciting as opposed to standard vacation hotspots such as Florida, the Carribbean, or Hawaii. The articles transport you to rafting Victoria Falls, deep water dives in South Africa, Alaskan fishing and hiking, plus lots of remote places such as Dominica or the Seychilles. I love how vibrant and rich the photography is and how well covered the articles are. Mind you there is something wondeful about reading magazines that highlight typical vacation spots, but for the adventuresome who like off the cuff travels, reclusive lodges, eco-villages, and remote islands this would be more your speed. I've read Outside for years and just resubscribed. It's by far the best and most original adventure journalism out there. It's a great read, has a lot of useful info about travel and almost every outdoor sport. Highly recommend.